Incarcerated Dancehall superstar, Adidja Palmer, more popularly known as Vybz Kartel, will have to wait a few more weeks before finding out if he’ll receive bail in his other murder case. Kartel was granted bail in the sum of JA$3 million on Thursday in relation to the murder of St. Catherine-based businessman/promoter, Barrington “Bossie” Burton this past July. Despite the good news, Kartel could not post bail due to the fact his other murder case, where he’s accused of killing St. Catherine-based dancer, Clive “Lizard” Williams was still pending. A hearing took place on Friday at the Corporate Area Resident Magistrates Court where a bail application in the Williams matter would reportedly be presented. However, during Friday’s hearing, it was revealed that no bail application for Vybz Kartel was made given that documents that should have been served to the deejay’s defense team weren’t made available. Senior Magistrate Judith Pusey ruled that the prosecution must hand over video and voice evidence to the defense no later than December 15. 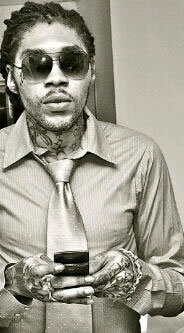 As a result, Kartel must report to court on December 19 for another bail hearing. Kartel along with his Portmore Empire protégé, Shawn Campbell o/c Shawn Storm, his road manager, Calvin “Moonie” Haye and Cayro Jones are jointly charged in Williams’s murder. Williams was allegedly stabbed and beaten to death by the accused this past August in Havendale, St. Andrew. His body has not been found.